Time for another masculine card. The guys I know like cars, so I knew I would get a lot of mileage out of this stamp set, To a Classic. 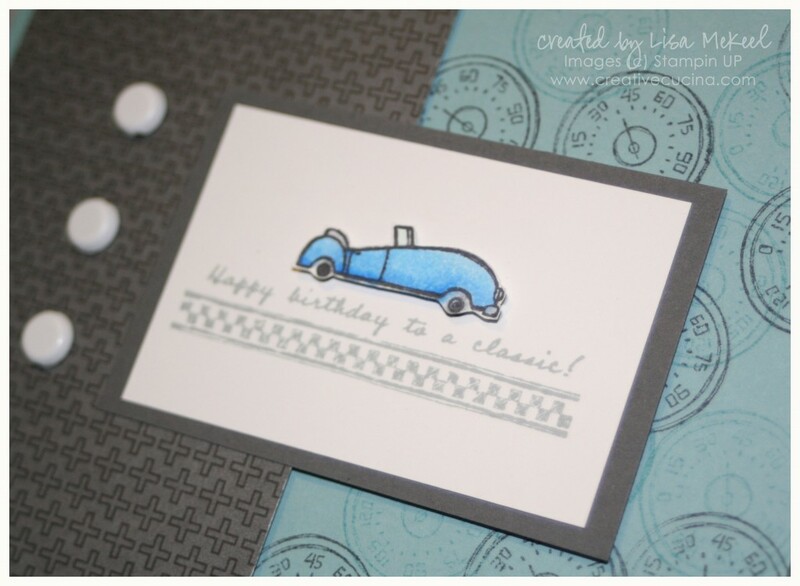 I stamped the Baja Breeze card base with the little speedometer from To a Classic in Baja Breeze and Basic Gray ink. 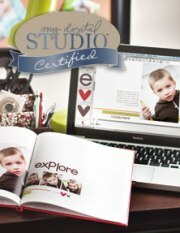 The main image was stamped in Memento Gray ink, on Whisper White card stock. 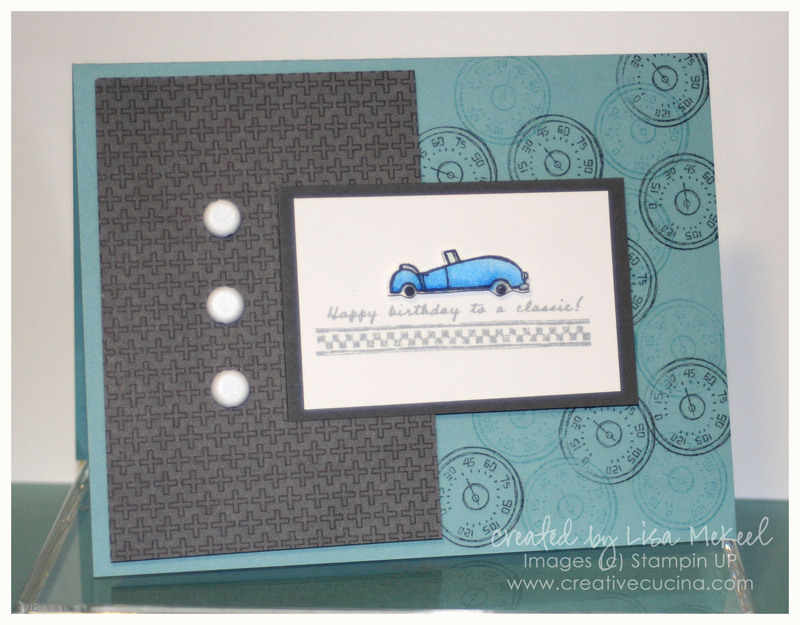 Then, I stamped the image again on scrap White card stock and colored the car with Copic Markers. I cut out the car and attached it to the main image with stampin dimensionals. 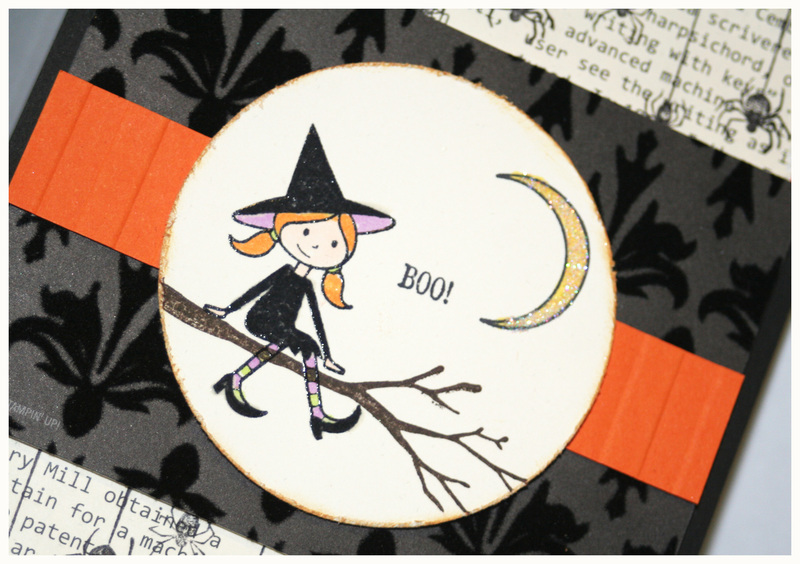 The white was matted on a piece of Basic Gray card stock. 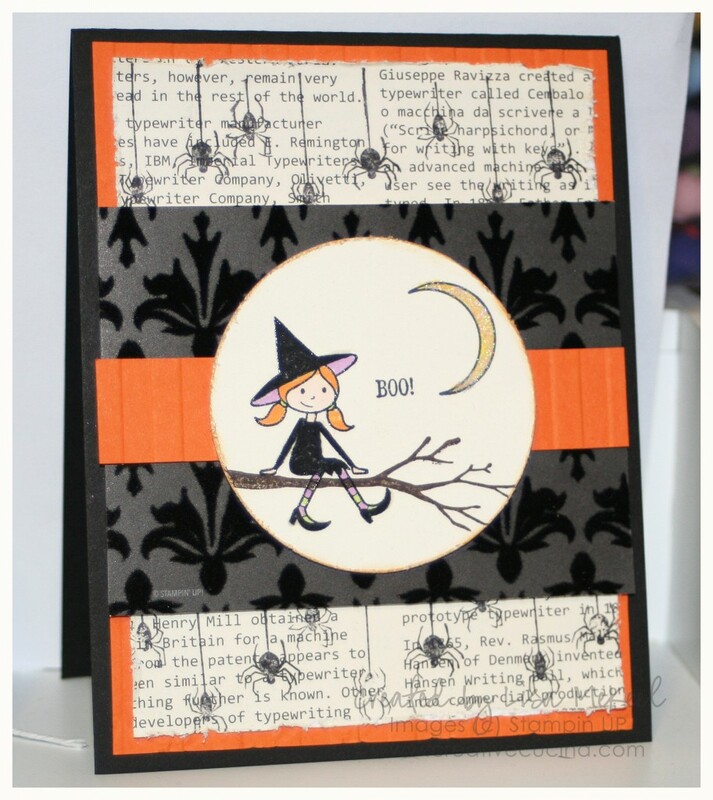 The gray patterned paper is from Urban Oasis DSP (retired). 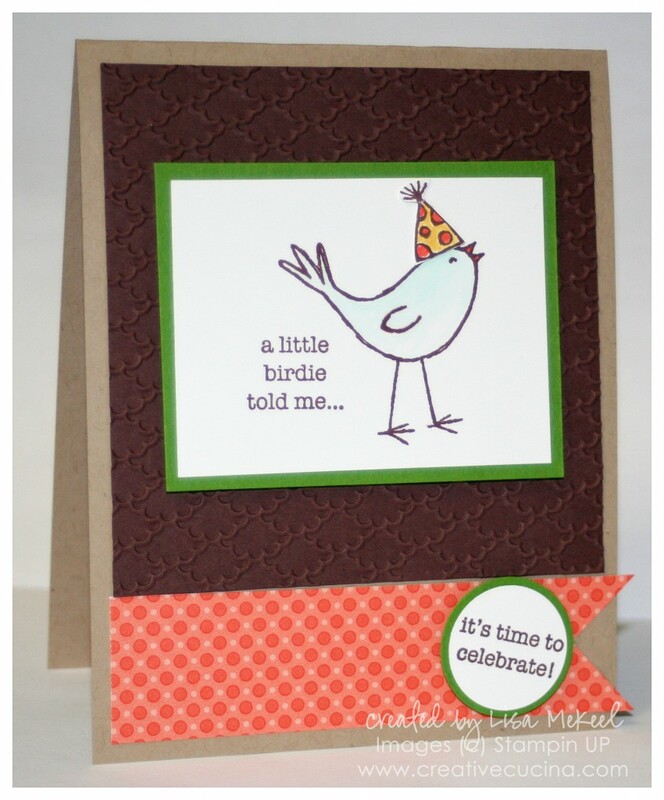 I attached the stamped layer to the base with stampin dimensionals. The white brads are 5/8″ Basic Brads.